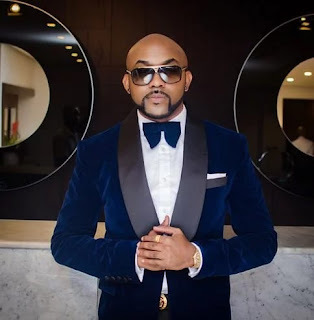 Banky W is a Nigerian R’n’B artiste who is popular among the ladies for his good looks and serenading songs.The artiste’s female fans are relentless in trying to gain his attention.In a recent post that has taken over the Nigerian social pages. Singer Banky W Olubankole Wellington, Popularly known as ‘Banky W’ is arguably Nigeria’s leading R’n’B artiste, whose career begun back in 2003 with the launch of the Undeniable EP, before growing exponentially into becoming one of Nigeria’s biggest music brands. He is the boss of Empire Mates Entertainment, (EME), having signed great acts like Wizkid (now with Sony Music), Scales etc. In a recent post on social Media, a fan posted her desire to either get married to Banky as he is known, or stay single and live with cats.The artiste, of whom there has been an ongoing jocular campaign, pressing him to tie the marriage knot, commented on the post. He stylishly turned down the fan, and asking what her BF thought of it.It was a put down, even though a polite, smart one.